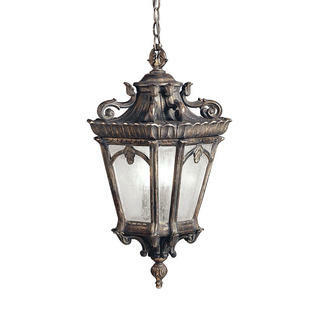 Hanging lanterns, influenced by the renaissance era and Venetian styling. 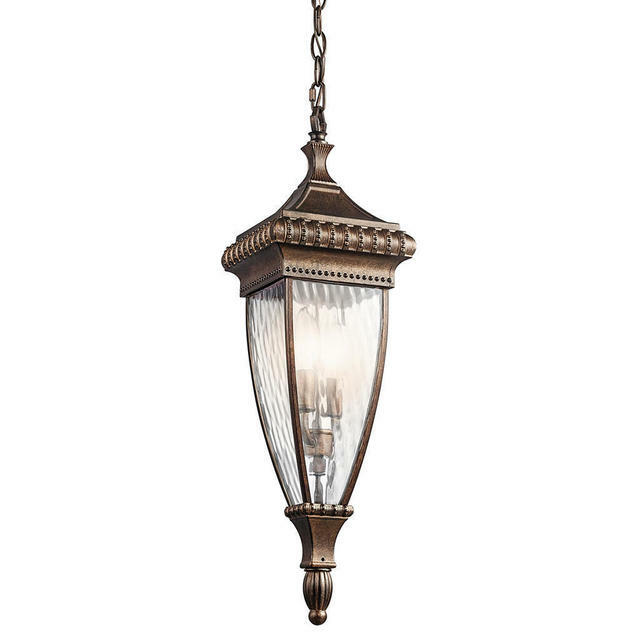 Beautiful, traditional outdoor hanging and ceiling lanterns that draw upon the rich legacy of the Renaissance. The ornate decoration and lavish curves reflect the history of fine Italian craftsmanship. 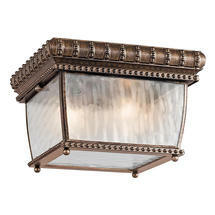 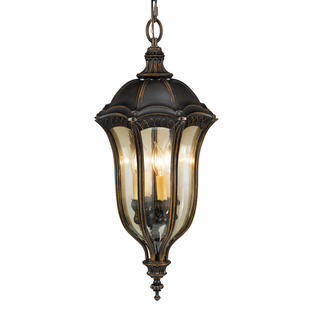 The lanterns are finished with a brushed bronze finish with ribbed glass panes. 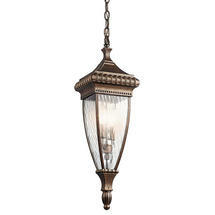 Available as either a flush porch lantern or hanging lantern. 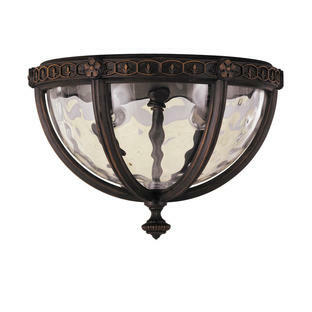 Also available in the Venetian Rain range are wall lanterns.